Last week saw the announcement of a new cruise brand from the Carnival group, called fathom (all in lower case), with word that it will be assigned P&O Cruises’ Adonia to sail weekly from Miami. As the new fathom ship, she will spend three days each week at Carnival’s new cruise terminal at Amber Cove in the Dominican Republic while passengers help out the locals ashore. Elsewhere, UK-based The River Cruise Line has chartered a new flagship, the Serenity, while we also have a look at the Yangtze River cruise trade in light of last week’s local disaster. Carnival Corp & plc’s Amber Cove cruise terminal in the Dominican Republic last week won another cruise line customer with the creation of its parent company’s latest brand, a one-ship operation known as fathom. Fathom will be using P&O Cruises’ 710-berth Adonia to conduct weekly “social impact” cruises from Miami. Starting in April 2016, fathom, announced last Thursday by Carnival Corp & plc chief executive Arnold Donald, will sail on Sundays from Miami. During her cruise, the Adonia will stay for three days in the Dominican Republic, berthed at Amber Cove while her passengers engage in “social impact activities” ashore such as teaching English in schools, helping to cultivate cacao plants and building water filtration systems. Volunteer efforts will fall into three categories: education, environment or economic development. At the same time as this announcement was made, however, customers in the UK were complaining that they would be losing P&O’s only small ship, a vessel that had succeeded such popular ships as the 726-berth Victoria. 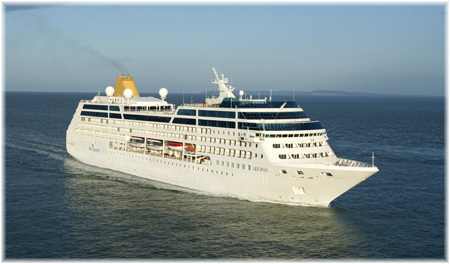 Adonia herself had succeeded Victoria as Swan Hellenic’s Minerva II before being renamed by P&O. Her last P&O cruise will be a 14-night voyage from Barbados to the Amazon in March 2016 and a previously-scheduled Transatlantic voyage returning to Southampton has now been cancelled so that she can be drydocked before going into service for fathom. The new cruise terminal at Amber Cove, which is being constructed on the north coast of the Dominican Republic by Carnival Corp & plc, is due to open this October. The $85 million terminal is located near the old cruise port of Puerto Plata, popular from the 1930s until the mid-1980s and now home of the Amber Museum. Amber Cove joins several other purpose-built cruise ports that have been opened in recent years in the Caribbean and is being built in partnership with the Rannik family of Grupo B&R, a Dominican-based port development firm whose shipping agency first opened in 1919 as J W Tatem & Co. It is expected to host more than 250,000 cruise passengers in its first year and provide approximately 430 local jobs. The facility will feature a long finger pier with two berths to accommodate the largest cruise ships. While tourist facilities will be included in the project, visitors to nearby Puerto Plata will also be able to walk the Malecon, a three-mile-long open air, beachside boardwalk dotted with bars, restaurants and shops. 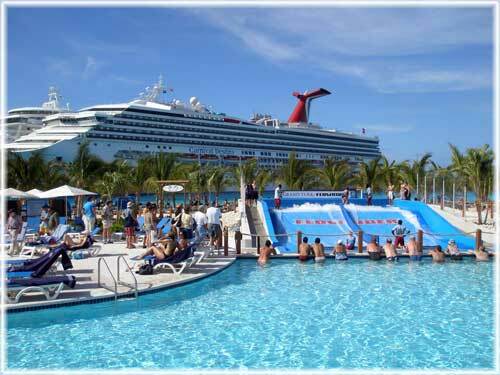 The new facility will receive its first ship with Carnival Cruise Line’s 2,758-berth Carnival Victory on October 6. Following this inaugural visit, six additional Carnival Corporation brands are scheduled to make calls in its first year, as well as nine Carnival ships (Carnival Victory plus Splendour, Valour, Conquest, Breeze, Sunshine, Ecstasy, Sensation and Glory in that order), Amber Cove will see regular calls by P&O’s 3,096-berth Azura from Barbados, the 1,266-berth AidaVita and 2,260-berth Costa Deliziosa from Miami and Holland America’s 2,104-berth Eurodam and Nieuw Amsterdam from Fort Lauderdale. Cunard’s 2,620-berth Queen Mary 2 will call on Amber Cove on November 22 from Southampton and New York and on January 22, 2016, it will be the first port of call on her 2016 World Cruise from New York and Fort Lauderdale. The first non-Carnival ship to make a call will be Voyages of Discovery’s 556-berth Voyager on January 7 on a cruise from Montego Bay. With the addition of the Adonia, Amber Cove should get about 150 more port days and another 35,000 passengers a year if the new fathom manages to fill the ship with this new type of customer. There is however skepticism that this kind of cruise will really sell. This is especially true when the fathom starting fare of $1,540 per person in an outside cabin, with three days spent in the Dominican Republic, compares to $639 for 7 nights in an outside cabin on the 2,974-berth Carnival Glory from Miami to Amber Cove, St Thomas, San Juan and Grand Turk on April 30, for example. The River Cruise Line, based in Market Harborough, has announced that it has chartered the 190-berth Dutch-owned Serenity, built in 2006, under a five-year dedicated charter, with possible options beyond. A sun deck with awnings, aft deck with bar and an open deck at the bow are among the facilities that invite passengers to relax and enjoy the passing scene. And her claret and crème outer colour scheme marks the vessel off from others. The Serenity joins the veteran 1903-built 109-berth Lady Anne. Built as a small steam-powered cargo ship, this 791-ton vessel was converted to diesel in 1938 and for passenger use in 1963. The River Cruise Line began chartering the Lady Anne a dozen years ago to offer low-price cruises for Brits who wanted to cruise the Rhine. After a few 2014 charter voyages for The River Cruise Line, dedicated almost 100% to the UK market, decided to hire the Serenity as its new flagship. Fittingly, for the market, she has now been fitted with tea and coffee-making facilities in the aft lounge and her menus have been adapted more to British tastes. Voyages in 2015 vary between four nights for a tulip time mini-break and a 12-night cruise from Passau to Cologne. A 7-night Danube cruise-and-stay package is also being sold with four nights on board and three nights in Budapest. In addition to its chartered Serenity and Lady Anne, The River Cruise Line markets cruises on a number of other river vessels as well, and currently features thirty-two itineraries to fifteen countries throughout Europe. 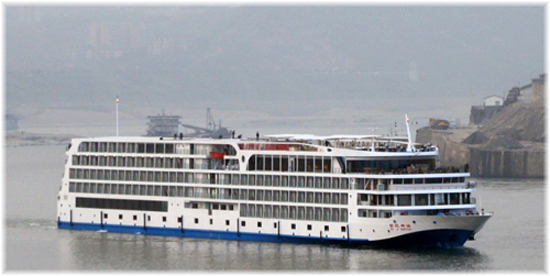 The loss of the 534-berth Dong Fang Zhi Xing (also reported as Eastern Star) last week on the Yangtze exposed a split in the Chinese river cruise market that has been in place for some years. This ship was one of a fleet of forty-four “domestic” river cruise ships operated by eight companies in the bargain basement sector carrying almost exclusively Chinese passengers. The 2,200-ton 250-foot Dong Fang Zhi Xing had begun a 13-day cruise in Nanjing on May 28, with its customers paying the equivalent of US $161 each for a 1,100-mile cruise to Chongqing, organised by Shanghai’s Xiehe Travel Corporation. On June 1, the vessel capsized in 49 feet of water near Jiamli, in Hubei province, with the loss of 431 lives and eleven still missing. The owner of the 1994-built ship, the Chongqing Eastern Shipping Corporation, has been ordered to suspend operation of sister ship Dong Fang Zhi Zhu and submit its entire fleet to new safety checks. The Dong Fang Zhi Xing was one of six vessels in this fleet that served the domestic Chinese market. These ships carry first class (2-berth cabins), second class (4-berth bunk beds) and third class (6-berth bunk beds) passengers, with the last two having shared facilities, and they serve only Chinese food. Food is also available for purchase at the various stops along the way. They do not supply towels, toiletries or toilet paper, so one brings one’s own, but first class comes equipped with en suite western toilets, shared by a shower in the same stall. 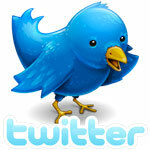 Another twelve companies operate about forty-five vessels in the “foreign” luxury segment. Unlike the local Chinese vessels, which have no seating except in the dining room, these ships have plenty of indoor and outdoor seating, westernised restaurants, nightclubs, bars and all the usual comforts of a cruise ship. 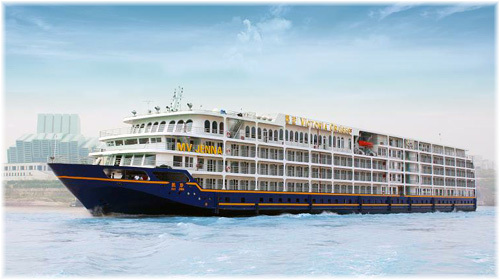 Prices start at around US $400 for a 2-night, 3-day cruise that goes to Yichang for a visit to the Three Gorges Dam. China may be making great strides in the world, but the extent to which passengers are crammed into these domestic vessels is evidenced by the fact that the Dong Fang Zhi Xing had a passenger space ratio (PSR) of only 4 gross tons per passenger. Gross tons for ships are a measurement of volume or space within the ship. By comparison, one of the smallest of European cruise ships, Majestic International’s 10,417-ton Ocean Majesty, has a PSR of 19.5, almost five times as much space per passenger, while P&O’s Britannia offers almost ten times the space, with a PSR of 38.7. On the Yangtze, Victoria Cruises’ 10,680-ton 439-foot Victoria Jenna, built in 2009 and one of the so-called “foreign” fleet, carries 378 passengers and has a PSR of 28, with every cabin having a private balcony. About a million passengers a year take a Yangtze River cruise to visit the Three Gorges area, of which about 150,000 are foreigners. Chief among the “western” operators (the ships are all Chinese, although some have been built in Germany, for example) are APT Waterways, Avalon Waterways, Century Cruises, China Regal Cruises, Orient Royal Cruises, Victoria Cruises and Viking River Cruises. While a full investigation of last week’s disaster will be held in China, some westerners have been known to travel in the first class of the local ships, but the recommendation is that if you are thinking of cruising the Yangtze this year, then stick to one of the “western” operators.